Need a New Used Vehicle? Visit Auto Action’s Arizona Used Car Dealers Today! Visit Arizona used car dealers Auto Action in Phoenix, AZ 85006 for the best in pre-owned vehicles today! Home / Blog / Need a New Used Vehicle? Visit Auto Action’s Arizona Used Car Dealers Today! Looking for a great deal on a used car? We can help you find the perfect car that suits all your needs! At Auto Action serving Phoenix, AZ 85006 we offer reliable, pre-owned cars at prices that can’t be beaten. If you are worried about purchasing a new used car all you need to do is visit one of Auto Action’s Arizona used car dealers. Our team of experienced customer service representatives will alleviate the the stress associated with buying a new car. Instead, you will drive off our lot in the vehicle you’ve always wanted. At the Auto Action’s Arizona used car dealers we ensure that every vehicle we sell is certified, safely tested, and has the highest-quality parts so you get a car you can trust. Our customer service representatives at the Auto Action in Phoenix, AZ 85006 location will walk you through everything you need to know about the vehicle you are interested in purchasing. We’ll make sure you know the history of your vehicle before you buy it so you don’t have any unwanted surprises when you are least expecting it. You can visit any of our locations in Arizona, California, New Mexico, browse our online inventory, or give us a call to see what specials we are offering on our pre-owned vehicles. We are always offering new deals just for you to make buying a new pre-owned car easier and more enjoyable. 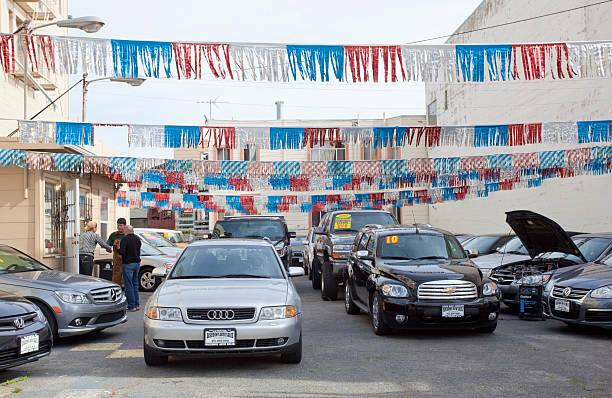 The process of buying a car from a used car dealership doesn’t have to be stressful. At Auto Action, we are the no-hassle used car dealership that will offer you a great deal on your new car. Click on our “Schedule A Test Drive” link for information on how to schedule a test drive with the car you’ve been looking at today! All of our Auto Action used car dealerships has a friendly staff that is ready and willing to answer any questions you might have. They’re knowledgeable about all the newest brands and they can tell you whatever you need to know to find the best car for you. For more information feel free to visit us at one of our convenient locations, visit our website, or give us a call at 602-345-8000 today!